Jordan, Turkey and Saudi Arabia are stepping up their investment in border security to counter the spread of terrorist attacks. US president Donald Trump wants to build a wall to prevent drug and people smuggling on its border with Mexico. But Middle Eastern countries are faced with an even greater threat on their borders, which is why they are investing heavily in border security. The threat of incursion by terrorists and smugglers is forcing Middle Eastern countries to beef up their border security. In January, the US State Department approved the sale of a 74K Persistent Threat Detection System (PTDS) aerostats and related equipment, support, and training to Saudi Arabia for an estimated $525 million. The PTDS is manufactured by Lockheed Martin and includes an aerostat, tether, mobile tying down platform, mission payloads, ground control shelter, maintenance and officer shelter and power generators, as well as site-handling equipment. Saudi Arabia requested a possible 10 PTDS Aerostats; 14 Ground Moving Target Indicator radars; 26 MX-20 electro-optic infrared cameras; and 10 Communications Intelligence Sensors, according to the US Army’s Foreign Military Studies Office. Also included are mooring systems with powered tether and embedded fibre optics; ground control systems; associated installation hardware; special tools and test equipment. The PTSD was used by the US Army in Iraq and Afghanistan. It can stay in the air for hours at a time and carry a wide range of on board sensors and payloads. Jordan, has also secured its borders against incursions by ISIS or Daesh fighters from neighbouring Syria and Iraq. Jordan's border with Iraq is 185 km long, whilst its border with Syria spans 339 km on land and 39 km along the Yarrnuk River. In April 2008, DRS Technologies announced that it received an order from the US Army's Communications and Electronics Command (CECOM) for the initial phase of the Jordan Border Security Program. The JBSP features passive barrier fencing, sensors, cameras and a command and control system, as well as mobile and fixed surveillance towers that use a variety of commercial off-the-shelf (COTS) sensors. In the initial phase of the three-phase project, DRS provided mobile and fixed surveillance towers with off-the-shelf sensors, as well as communications connectivity between the towers and and mobile and fixed command and control centres. In April, 2013 Raytheon was awarded a Defense Threat Reduction Agency (DTRA) border security contract valued at $35.9 million. Under the nearly three-year base contract, Raytheon will design, develop and implement an integrated surveillance system along dfferent parts of the Jordanian border neighboring Syria and Iraq. The contract also requires Raytheon to provide training, maintenance and repair. The aim is to enhance the Jordanian Armed Forces' ability to deter, detect and interdict threats. 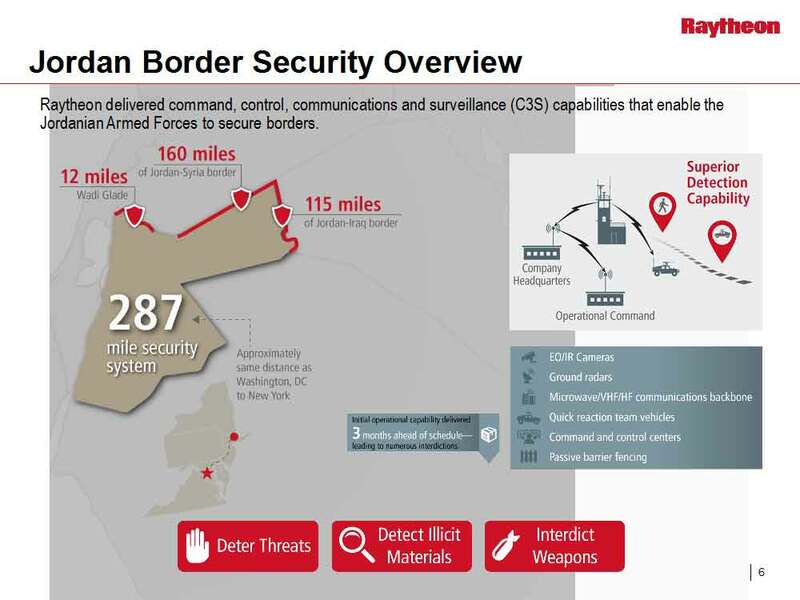 "Our goal is to deliver the best possible border security offering for the Kingdom," said Todd Probert, vice president for mission support and modernisation at Raytheon Intelligence, Information & Services. "The best border security solution is the right combination of equipment, training and sustainment based on customer needs." But according to Matthew Hedges, a PhD candidate at the University of Durham where he is researching defence and security policy in the GCC, Jordan will require further manned and unmanned solutions to allow it to efficiently manage its evolving threat nexus. Turkey is also concerned about clashes in neighbouring Syria spilling over the border. Turkish citizens have already been killed by terrorist attacks launched by ISIS fighters crossing over into Turkey from Syria. 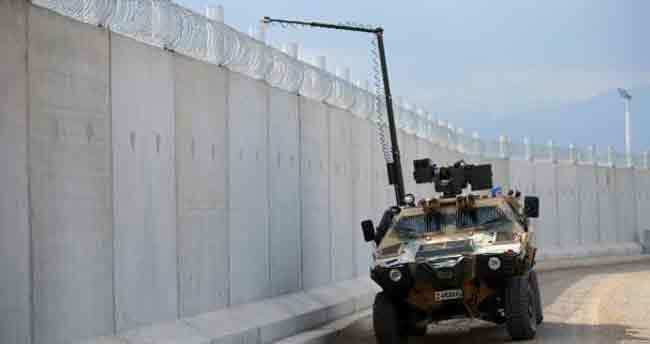 According to the US Army’s Foreign Military Studies Office highlights recent border security measures implemented by Turkey include the use of Cobra II armoured vehicles, surveillance and reconnaissance “balloons” and the construction of a concrete wall. The Cobra II, which is developed in Turkey by Otokar, features radar, a target detection and thermal camera system, which “can see the other side of the border easily thanks to a camera system that can be raised up to 12 meters.” The Cobra II vehicles will patrol a wall that is currently being constructed by Turkey alongside its border with Syria. The “balloons”, also referred to as “mini-zeppelins” are manufactured by Aselsan, Turkey’s largest defence company. The FMSO says the balloons will mainly be used along the country’s southeastern borders with Iraq and Syria. They are based on the tethered aerostat system, PTSD, developed by Lockheed Martin for the US Army. 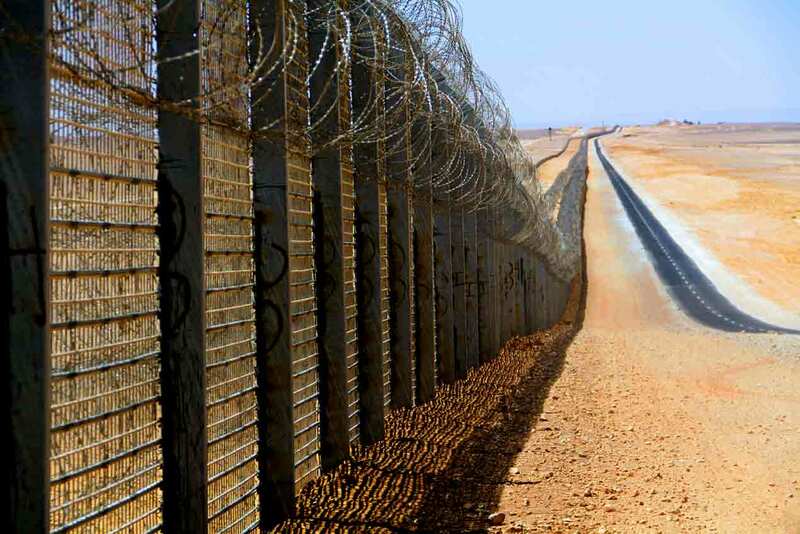 Other security measures include a three-metre high and two-meter wide concrete wall, which has been built along the Turkish-Syrian border to prevent smuggling, illegal migration and possible attacks from Syria; as well as a surveillance tower, lighting systems and trenches. These efforts have reportedly reduced smuggling by horses and vehicles and reduced illegal crossings by 40%.